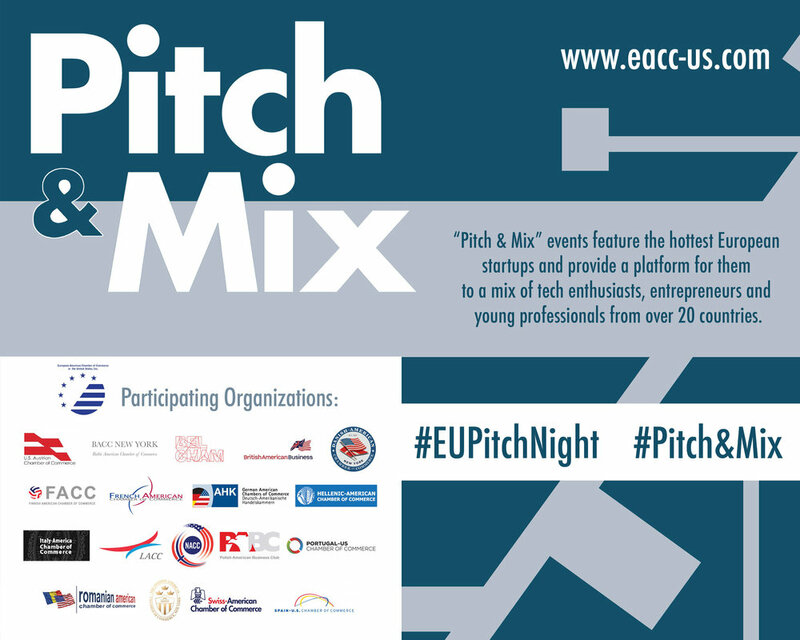 Join s for the first European Pitch Night of the year, hosted by the European-American Chambers of Commerce! Six of the hottest European health tech startups will pitch and showcase their latest advances. Learn about how they are changing the healthcare landscape experience and the future of European innovation. Startup pitches will be followed by an audience vote and a networking reception with tech enthusiasts, entrepreneurs, and investors. Register today and get the scoop on the latest in the EU tech scene. Companies interested in the space should contact Mads Hebbelstrup or the DACC for an opportunity to pitch.